Apple rarely ever rolls out teasers ahead of its events, but when it does, they’re always a joy to watch. Minutes before its September 2018 launch, for instance, CEO Tim Cook frantically tweeted out to his employees for assistance. The tweet was, of course, orchestrated, and set the stage for a video that Apple later screened at the event. 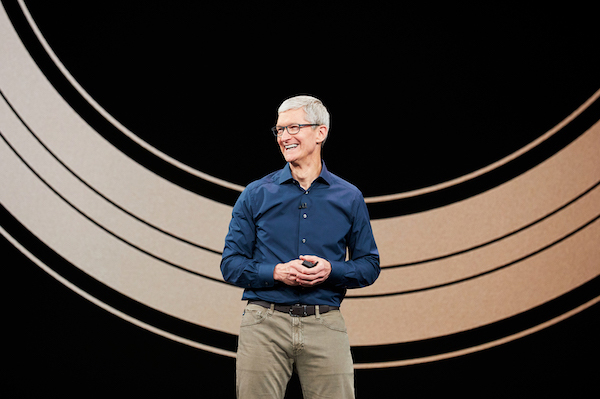 Now, the tech giant has seemingly opened its livestream in advance for the first time ever… all in the name of poking fun at overzealous fans. A day ahead of the 25 March event, Apple started broadcasting footage of a suspiciously empty Steve Jobs Theater, where the actual launch will be held. Visiting the Apple Events page reveals a clip that sees the company playing with several camera angles of the dark, vacant event space. As you can imagine, the room would have been packed for rehearsals by now, and would be a very stressful period for anyone involved. What’s being aired, however, shows no tinge of pre-event jitters from the part of Apple, leading many to believe that the footage was either pre-recorded or created with CGI à la horror video game Five Nights at Freddy’s. Those who caught the “livestream” earlier saw people cleaning the stage and conducting a mic check at the theater, in addition to a strange screen mirroring of a “phone call” by Captain America lead actor Chris Evans. An iMessage conversation supposedly captured from Tim Cook’s iPhone also teases that NBA star Kevin Durant might make an appearance at the event, as he tells Cook that he is at Apple Park. Apple’s upcoming event kicks off on 25 March at 10am PT or 1pm ET. The company is believed to announce a new streaming television service, along with a revamped Apple News app. Whether or not there is a gadget lineup remains to be known.